Burke Street. 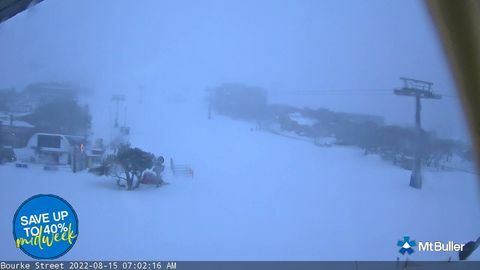 Mt Buller's Snowsports School meets immediately in the foreground. On a mid-winter weekend it is arguably the busiest ski run in Australia. Updates every 10min, 7am-5pm.